Poland, No conspiracy in Sikorki’s death. A five-year investigation into the death of Polish World War II leader General Wladyslaw Sikorski has found no evidence to support conspiracy theories that he was murdered. Institute of National Remembrance (IPN) has found no proof that Poland’s wartime prime minister was either murdered prior to the flight, or that the plane crash itself was caused by sabotage. In a statement, IPN concluded that there is “no reasonable doubt” in the question of his boarding the plane alive. 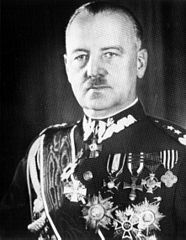 The Polish leader’s death on 4 July 1943 remains a riddle to many, in spite of an official wartime investigation that claimed the crash was an accident. Sikorski, who headed the Polish government-in-exile in London, was flying back to England after visiting Gibraltar when his Liberator plane plunged into the sea, shortly after take-off. Apart from the pilot, who survived with broken limbs, all aboard apparently died immediately, although some bodies were never recovered, further fuelling conspiracy theorists. Accusations have been levelled at Russia, Britain and a clique of Polish army officers over the years. An official British military investigation blamed the crash on jammed controls in the cockpit. As revealed in March 2013 by Piotr Dabrowski from IPN, besides archival work, two witnesses have been interviewed for the current probe in England and Spain. The first was a radio operator who participated in the British navy’s salvage operation, immediately after the plane went down. The second was a diver who helped extract bodies from the wreck. Claims that Sikorski had been murdered prior to take off were largely dispelled following the exhumation of his remains in 2008 at Wawel Cathedral, Krakow. Noted British historian Professor Norman Davies told that “no reputable historian” had ever insisted that sabotage was the cause of Sikorski’s death.